Most Chennai bookworms will remember the wonderful world of Landmark (that has now shut shop) many years ago. It was a haven for bookworms, but in the last few years, there’s another bookstore that’s filled the void… hello, Starmark! Whatever it is you’re looking for – Indian fiction, literary fiction, romance, thrillers, historical fiction – there’s a section at Starmark for you. The first thing you see when you walk into the store at Express Avenue is the best sellers list on your right and the new releases right in front of you. It’s a huge island of books upon books from all genres and languages. And that’s where the shopping begins because you might not have realised that you wanted a certain book till it’s staring you in the face right there, like a beacon of hope or something. You walk further in and you’re greeted with rows of books, shelves filled to the brim with books organised by authors and genre. They have a lot of the latest releases and even some of their older books too. If you’re a fan of the classics, there’s an entire wall dedicated to that genre – including the new covers different publishing houses are introducing to entice customers to read the classics. One of the great things about the store is that there’s a pretty extensive section for kids. Ranging from young adult fiction to books for toddlers, they have it all. Even a collection of Enid Blyton books, which is so important for everyone to start off with as a child. The store also has a comic book section, which isn’t very diverse or refreshed every so often, but every now and then you might find the perfect comic book especially if you weren’t looking for it at the time. Step into their crime and thriller section and you’re going to be overwhelmed with the collection of Agatha Christie books they have on display – quite literally every book she’s ever written – and you’ll also find books by some of the other more popular writers including John Grisham, Lee Child and of course, Stephen King. Beyond the books section, they’ve got DVDs, music CDs (and even vinyls! ), stationery, gifts and a whole section of kids toys. 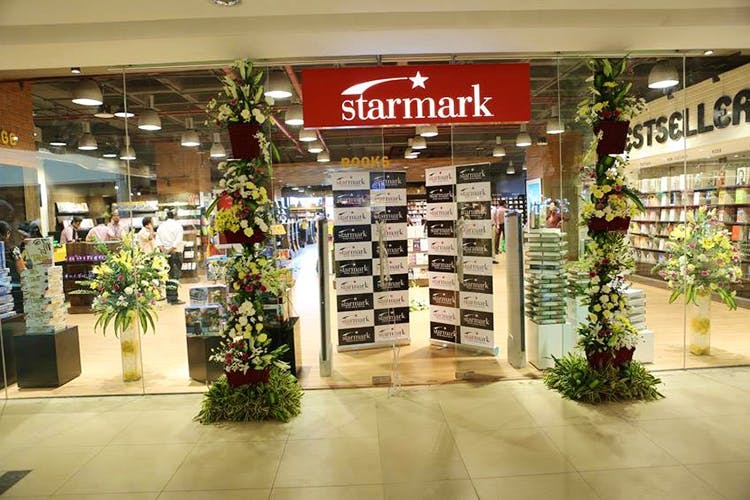 Quite literally everything you can think of is available under one roof at Starmark.